It [Buddhist logic] admitted nothing but the transient flow of evanescent events and their final eternal quiescence in Nirvana. Reality according to Buddhists is kinetic, not static, but logic, on the other hand, imagines a reality stabilized in concept and names. The ultimate aim of Buddhist logic is to explain the relation between a moving reality and the static constructions of thought. In The Findable Cyborg, I suggested that findability is the quality uniting staticness and movement in Heidegger’s Standing Reserve/Enframing. This findability might perhaps be thought of not as a framed photograph, but rather as the movies or videos Cyborgs view on framed screens, silver or electronic. Screens though are needed only as the framing device. The kineograh (flip book) embodies the principle. We can view the pages or frames either as a series of discrete images or as fluid unified experience. In both cases, the image(s) are a set, a Standing Reserve, placed in a perceptual frame. The frame though is only a device to facilitate perception. Every time a Cyborg views the kineograph, the order of the pages is different. An important feature of this static movement, this findability, is the flexibility, dynamism of the assessment of objects, persons and process. Their relative importance changes over time with no particular assessment definative. What is found changes. What was previously found is not lost or forgotten, but rather no longer selected, viewed, or spoken. It is as if the order of the pages of the kineograph had no importance at all. Pages can be reordered, eliminated, added, or replaced by something different. Any narrative of the images viewed in motion arises only as an epiphenonoma of this constant updating. Only the findability of each element is important. The technological understanding of Being encounters the revealing of Being as a challenge. Responding to this, it seeks to make everything findable, available to, in Harraway’s phrase, the “unhindered instrumental power” of the Cyborg. *T.H. 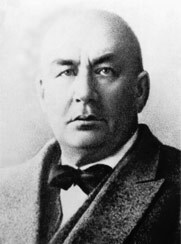 Stcherbatsky (1866-1942), a Russian Indologist, is important in the development of Buddhist Studies in the West. Thanks for the link – haven’t seen it, the blog looks great. The article has a lot of rich avenues for future thought, although I disagree with “we have always been cyborg” thesis. Algorithmic code creates I think, a qualitatively different situation from tool bearing, no matter how developed.